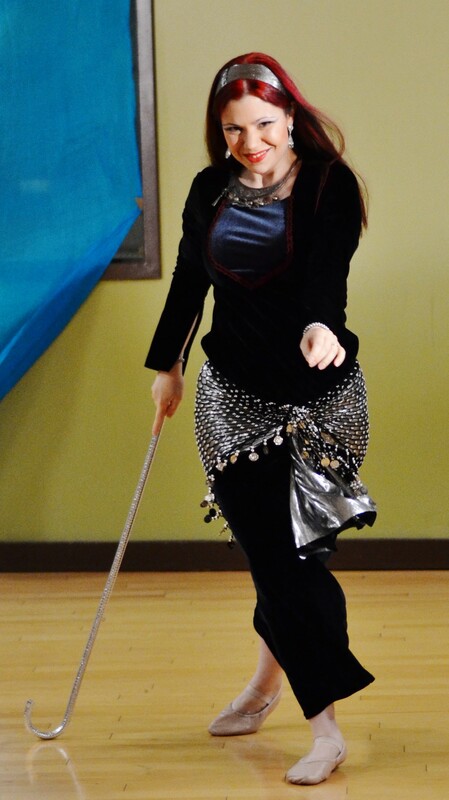 Joanna Alizarin began studying Cabaret style belly dance in 2007 and joined Troupe Aubergine (then Belly Dance Delight) in 2008. Her journey into the world of performing arts through Middle Eastern dance has been an exciting metamorphosis from a visual artist more comfortable creating in private to a dancer who is willing to interpret music for an audience, digging deep to reveal emotion and story. The name “Alizarin,” which is an Arabic loan word in English for a deep crimson pigment, pays homage to the collaboration of many cultures represented in contemporary belly dance in America, and the collaboration of painting and dance in Alizarin’s creative world. In addition to being a member of Troupe Aubergine under the direction of Nina Amaya, Joanna Alizarin has danced with the Lazuli Dance Ensemble under the direction of Mariza. She has taken classes and workshops with Shahrzad Lozier, Antonia, Latifa, and other local and international instructors. 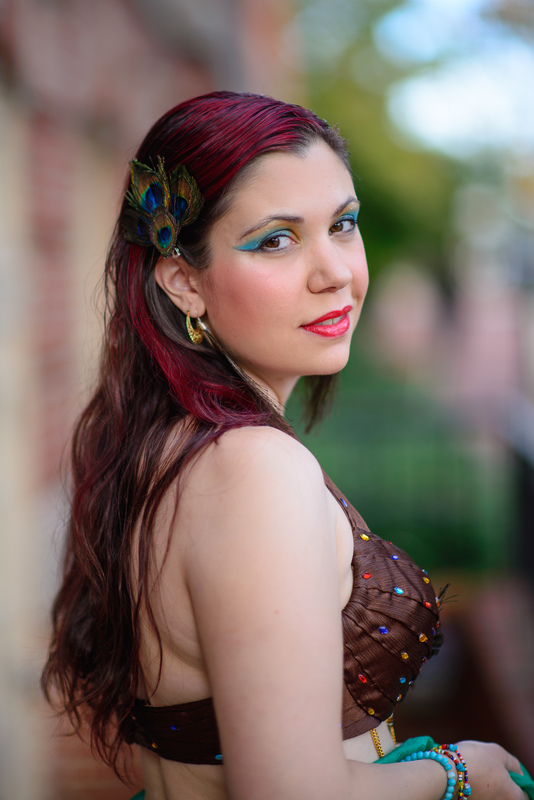 Alizarin entertained as a featured soloist at Kitchen of India’s “Art of Belly Dance” nights in Parkville, MD. You can see Alizarin’s work as a professional illustrator and fine artist at www.JoannaBarnum.com. She enjoys employing her visual skills to design costumes and promotional materials for Baba Ghanoush, Aubergine, and the wider belly dance community.